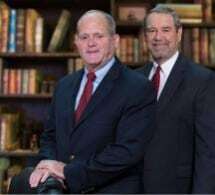 With over 65 years of combined legal experience, the attorneys in our law firm have represented hundreds of clients in the state, federal and appellate courts of Texas, Arkansas and throughout the country. We also provide mediation, arbitration and negotiation services that allow individuals and businesses to resolve their disputes without having to undergo the time, expense and stress of a trial. The attorneys in our law firm believe that each of our clients deserves and is entitled to the best legal representation possible. Therefore, not only are we dedicated to excellence in the courtroom, but also have built the necessary relationships and developed the necessary resources to provide our clients with a team approach that gives them the knowledge and skill they need, as well as the personal attention they deserve. Our attorneys are known for their client focus, creativity, integrity, hard work, dedication and thorough trial preparation. Our commercial clients and law firms seeking local counsel come to us from Texas, Arkansas, across the country and around the world.